Australia is a vast country of more than 7.6 million square kilometres - it is the sixth largest country in the world, being more than twice the size of India; over 80% the size of the USA or Brazil; and three quarters the size of all of Europe. Despite this, Australia has one of the lowest population densities in the world (less even than Iceland), with much of the vast interior being desert, national parks or large pastoral properties (known as the outback)Anna Creek Station is the largest pastoral lease in the world, covering over 30,100 sq kms, which is half the size of England or twice the size of Belgium. Australia is a diverse multicultural society, with almost 50% of Australians being either born overseas of having at least one parent born overseas. In the last 60 years more than six million immigrants from over 150 countries, and while English is the main language, Australians speak over 200 languages and practice a variety of different religions. This rich array of cultures has had a massive impact on the country’s food, cultures, art, literature, music, dress and sport. Its natural beauty stretches from rugged coastline, magnificent beaches and coral reefs to tropical rain forests, popular snow fields and world class national parks. Australia is also a centre for world class industry, business and technology and has massive mineral resources and other primary industries. This great diversity and easy-going lifestyle makes Australia a top holiday destination in the world. The beautiful Gold Coast is not only Australia's leading holiday destination; it is a thriving commercial and business centre and the sixth largest city in Australia. Its 40 kilometres of sensation safe surf and swimming beaches are a magnet for travelers from around the world. The vibrant nightlife is equaled by a number of world class fun parks and wildlife sanctuaries nestled against a backdrop of stunning national packs. It also has some of the finest restaurants in the country, supplemented by the catch of fresh fish, prawns, crabs and other delicious morsels brought in daily by the local fishing fleet. Send us your story or your comment, about a holiday destination or experience on the Gold Coast or Australia. One of the most spectacular drives in Australia is along the Great Ocean Road in Victoria where you will see “The Twelve Apostles”, a series of massive natural limestone stacks standing just off shore in the Port Campbell National Park. There are now only eight of the outcrops left because they continue to be eroded by the pounding waves of the southern ocean which comes unabated from the South Pole. 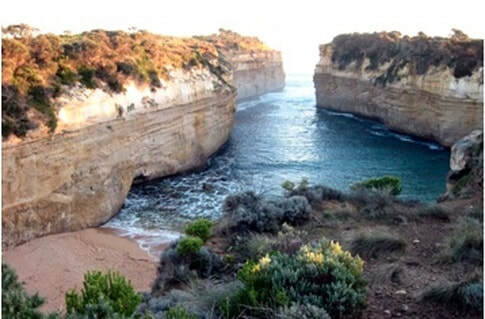 While it is a popular tourist attraction and the site of many a marriage proposal, this region of the coast it littered with ship wrecks and on a cold and windy day one can really experience the awesome power of Mother Nature. These outcrops continue to erode and crash into the ocean, to this is a ‘must do’ while there are still some standing. The township of Bermagui on the NSW coast is known for its outstanding sports fishing (marlin, tuna, kingfish etc) because of its close proximity to the continental shelf – we often would catch a dozen albacore tuna in half a day’s trolling (and that was after we tagged and released anything under 5kgs). But the whole area is a wonder, surrounded by national parks with a relaxed holiday village where you can even catch prawns at night in the nearby Wallaga Lakes. One popular spot is the Blue Pool – a adult swimming and children’s wading pool complex situated at the bottom of the cliffs. The pools are flushed by the sea water at high tide and in the evening have an enchanting fluorescence that makes them unique. Kakadu National Park is a world heritage listed park that covers around 20,000 square kilometres – this is around the same size as Israel, New Caledonia, Slovenia or all of Fiji. Kakadu is world famous for the biodiversity of it environment where you can see ancient aboriginal rock art, huge floodplains spectacular wildlife (including huge crocodiles, wild dingoes, goannas and much more). It has outstanding natural beauty and contains more than one fifth of all of Australia mammals – home to more than 120 different reptiles, 70 mammals, 26 different species of frogs and over 2,000 plant species. Send us your story or your comment, about a holiday destination or experience in Kakadu National Park or the northern outback of Australia. 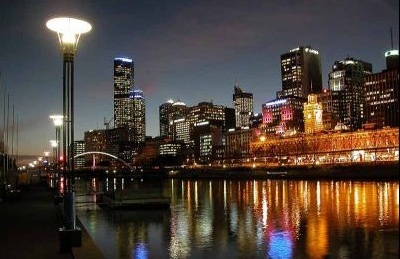 Multicultural Melbourne is the second largest city in Australia behind Sydney. It is a city of stylish Victorian architecture, trams, fashion, food, theatres, art galleries and leafy gardens. It is also a city mad for sports, with more world class facilities than many countries. Melbourne hosts events such as the Australian Tennis Open, the Australian Formula One Grand Prix, and the premier horse race that ‘stops a nation,’ the Melbourne Cup. It is also centre of Australia’s own brand of football, Aussie Rules. • Send us your story or your comment, about a holiday destination or experience in Melbourne or Australia. One of the world's landmark cities and Australia's largest and oldest city, many people are often surprised when they find that Sydney is not the capital of Australia. 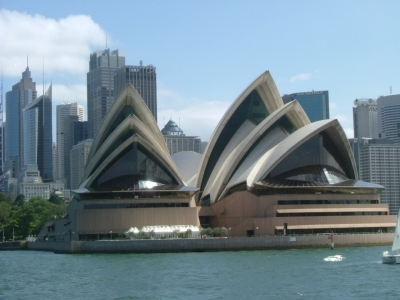 However, sitting on the picturesque Sydney Harbour with the internationally-renowned features of the Opera House and the Sydney Harbour Bridge, it is perhaps Australia’s most well-recognised city. Sydney has a passionate love of the arts, high-powered commerce and diverse mix of world-standard architectural influences. 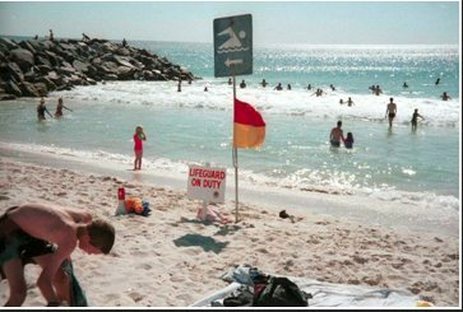 Like many other Australia cities it also has outstanding beaches like Bondi, international sports facilities like the 2000 Olympic stadiums, and cosmopolitan shopping and dining precincts that rival those in most other countries.